As a native of Louisville, Kentucky, I’m so pleased to be co-director of Bourbon Baroque, Inc., Louisville’s period instrument ensemble; it’s a joy to bring our music to the vibrant arts community in Louisville. Bourbon Baroque, founded in 2007, actively performs both ticketed concerts and free community engagement events like our Messiah performance for Hotel Louisville residents, and a lecture-concert based around the narrative of Cato Watts, Louisville’s first enslaved person, at the Kentucky Center for African American Heritage. I was excited to learn about several other ensembles and opportunities for folks throughout Kentucky to experience and participate in historical performance. Back in Louisville, Dr. Jack Ashworth has been a mainstay in the historical performance community nation wide, as well as a champion for the specialty at home. Officially retired, he continues to teach early music at the University of Louisville on an adjunct basis. 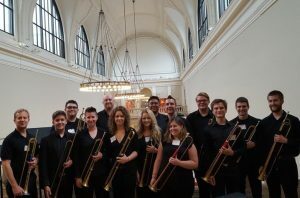 The program at U of L has morphed throughout its 35 years, and currently students can enroll in Historical Instrument Ensembles, an omnibus “class” covering recorders, gambas, lute, and harpsichord. Interest remains high with over 20 students and community members participating this semester. Dr. Ashworth is active in the Viola da Gamba Society of America, and serves on the faculty of the VDgSA Conclave. He founded and directs the Louisville Gamba Consort, a group of five community members who meet for music making and give occasional performances. In 2018, the ensemble gave a performance at the Highlands branch of the Louisville Free Public Library, bringing historical performance to the community at large. 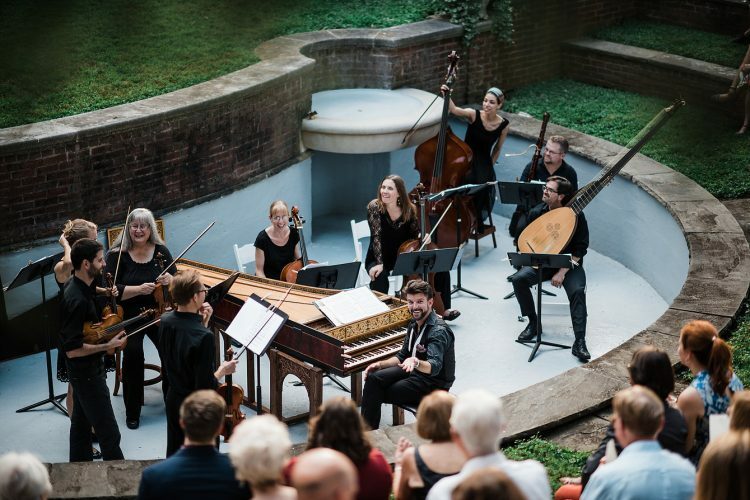 Kentucky also has “The Center for Old Music in the New World: Bringing early music to life in Central Kentucky.” Musick’s Company, the center’s resident ensemble, is performing Monteverdi’s Orfeo in collaboration with the UK Baroque Trumpet Ensemble (see above) and members of the Lexington Community Orchestra. Alice Culin-Ellison, D. M. A.